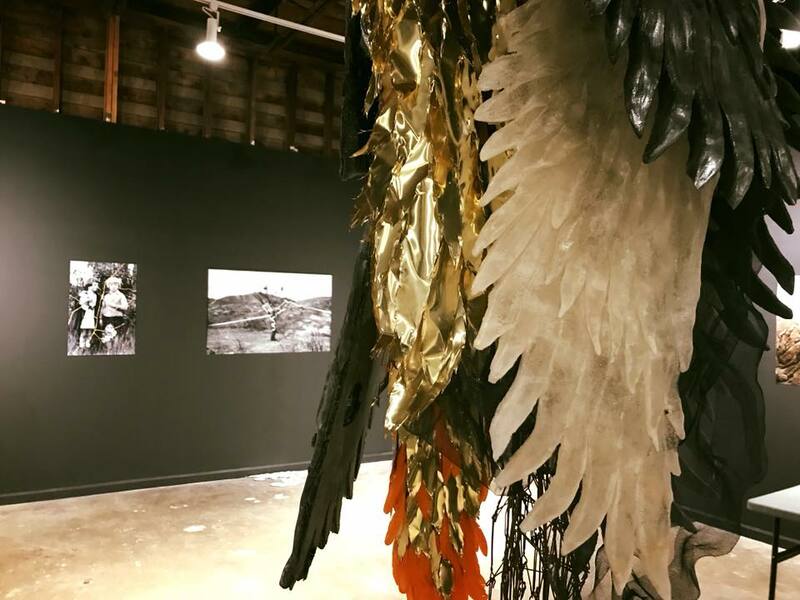 ICOSA Collective presents these, our precious scars, a collaborative exhibition of sculpture, photography and installation created by sculptor Erin Cunningham and multi-disciplinary artist Alyssa Taylor Wendt. Taking inspiration from the Japanese philosophies behind wabi-sabi and kintsugi, the pair has joined forces and mediums to investigate imperfection, longevity, hope and revealing seams. Their processes of melting metal, casting, tearing and gilding consider alchemy and layers of inherited narrative to explore failure, impermanence, industrialization and the misrepresentation of brokenness. From rising Phoenix birds, to remnants of the auto industry and interactive vulnerability, the show will prove to be a healing journey into the spirit of our times. The last show for ICOSA in this physical space, the exhibition is a fitting testimony to the positive power of change and creation by creating magic out of destitution. Erin Cunningham is a Texas based artist living and working in Austin. She received her BFA with a focus in metalwork from The School of the Art Institute of Chicago in 2003 and her MFA from the University of Texas in Austin in 2007. Her sculpture work uses material combinations, such as cast iron, and the female figure to explore dualities of masculine and feminine, disposable and precious, fragility and strength. She has exhibited both nationally and internationally, most recently at the Metropolitan Art Museum in Tokyo. She was selected to curator the Art on the Green show in Wichita Falls TX, which was an outdoor show featuring all women sculptors. She has been an artist in residence at BAER Art Center in Hofsos, Iceland as well as Sloss Furnaces National Historic Landmark in Birmingham, Alabama. Erin is currently an instructor at Texas State University and at the Art School at The Contemporary Austin.